Many people seem to think that orthodontists only change the look of your teeth. But at Rotem Dental Care in Toms River, we explain that straight teeth tend to be healthier teeth, becuase your ability to clean them is enhanced when your teeth are straight and uncrowded. When uneven teeth begin to crowd together, it becomes difficult to make vital daily cleanings effective. And, when your teeth aren’t cleaned properly, problems with plaque build-up, cavities, and gum disease commonly ensue. 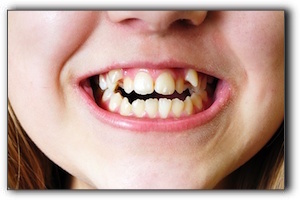 An increasingly popular way to straighten teeth is with clear braces. It’s easy to see why: unlike conventional braces, clear braces don’t have metal brackets, making them a lot more comfortable. They can be removed at mealtimes and when you brush your teeth, too. Clear braces are also not very noticeable. According to people who have worn them, even people standing just a few feet away haven’t seen them. At Rotem Dental Care in Toms River, we offer clear braces from Invisalign. You’ll love what they do for your smile! We also offer general dentistry services. Schedule an appointment today.